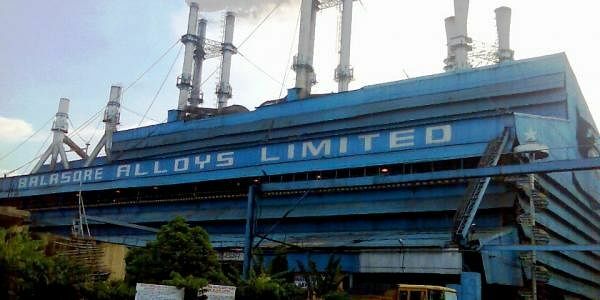 All eyes are now on the Grievance Redressal Forum (GRF) which would hear the much hyped electricity dues case of Balasore Alloys Limited (BAL) on Thursday. The ferro-alloy company has an outstanding amount of Rs 167,77,40,435 towards the electricity dues. Following a directive of Odisha High Court, BAL had approached the forum to raise its disagreements with the power distcom Nesco, which had served a disconnection notice against the non-payment of power dues on August 30. Disposing of a petition filed by BAL against the notice, a division bench of judges comprising Justice B P Das and Justice B K Nayak on September 13 had directed the company to approach the GRF. Earlier, the court had dismissed a petition of BAL filed against Nesco over the power dues citing it not maintainable. While BAL is allegedly one of the major defaulters of power dues in the State, the Nesco and local consumers pin hope for an impartial judgement. The consumers believe if the amount is recovered, it would ultimately result in slashing down the recent power tariff, which is hitting them under the belt. President of Nesco Bidyut Grahak Sangha (NBGS) Jayanta Das wondered while Odisha Electricity Regulatory Commission (OERC) had laid down provisions for disconnection of electricity for the defaulting consumers without any pre-notice, why the same was not followed for BAL. “Rs 167 Cr is not a small amount. It is pubic money. If collected it would help reducing the power tariff and upgrading the existing infrastructure. When poor consumers face disconnection for not paying the current month’s bill, why was BAL shown favouritism even if it continued to keep the arrears pending for years together?” he pointed out. Another consumer Srinibas Pradhan said the arrear amount if waived would be an ultimate burden on the domestic consumers who are often asked to pay the bills that are hiked in a regular interval. Several other consumers have threatened not to pay their bills henceforth and take to the streets if the profit making ferro-alloy company was let off. Earlier former Minister Maheswar Bag who is also a nominated member of OERC for the Consumers Grievance and Redressal Forum also had demanded the government to act immediately to recover the amount. BAL Director (Operations) B N Panda said as per their calculation the company did not have any dues. “It is all imaginary and made up. Let the forum decides it,” he said. It is to be noted that while the Nesco authorities were reportedly in the process of waiving nearly Rs 133 Cr of the total outstanding amount, they were forced to issue disconnection notice following an expose in ‘The New Indian Express’ that was widely discussed in the Assembly and the Energy Minister had assured the House to recover the amount.